Wilson Allott, the son of George and Hannah Allott, was born in Darton, near Barnsley, Yorkshire on 3 February 1886. He had two brothers and two sisters. He lived in the Darton and Staincross area all his life and worked in a coal mine until he enlisted in the Yorkshire and Lancashire Regiment at Pontefract. Wilson was later transferred to the 19th, 18th and 1/7th Battalions of the Durham Light Infantry (DLI) and was one of over 50,000 Allied soldiers captured by the enemy on 27 May 1918 at Craonne during the Third Battle of the Aisne. He was sent to a prisoner of war camp at Limburg ad Lahn, north-west of Fankfurt where he contracted dysentery and died on 25 September 1918. 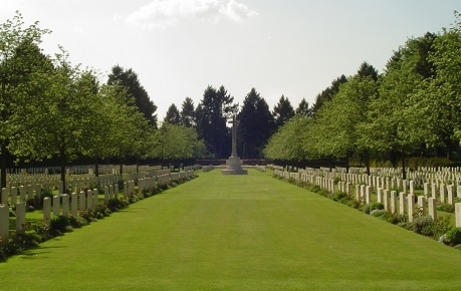 In 1922 it was decided that the graves of commonwealth servicemen who had died all over Germany should be brought together into four permanent cemeteries and Wilson was re-buried in the Cologne Southern cemetery (Suedfriedhof).